*Today is the day you are presenting your spoken word. I am excited to hear what you have all written and see how you perform. Best of luck! *Reminder that you should be working on your spoken word. We will be presenting on Wednesday November 30th and Thursday December 1st. *Today we are presenting our project on the Background info of To Kill a Mockingbird”. I’m looking forward to seeing them all! I’m sorry to say…today is test day! 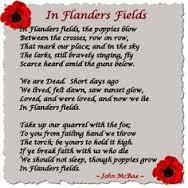 We will be having a Remembrance Day Assembly so classes will be a little shorter today. Please remember that the assembly is a formal assembly and we should act and behave accordingly. *Reminder of the Poetry Unit Test next Wednesday November 16th. -No Red Ink: “Components of a Sentence Practice”. This is the very bottom assignment on No Red Ink. -Yesterday, we watched your “Inspiration Poems”. If there are any that we did not get through on Wednesday, we will do so today.